Imagine a music concert where you journey into a limestone cave and rappel 165 feet into the depths of a giant pit. As you move down the rope, you are amazed at the multi-colored light show that highlights the massive stalactites and stalagmites. At the bottom, you are greeted by your group who guide you to an epic live musical performance. Join us and this will be your reality. Go beyond business cards and introductions. Connect with fellow leaders, owners, entrepreneurs, and investors in this extraordinary networking adventure. These are very exclusive events with limited space available. 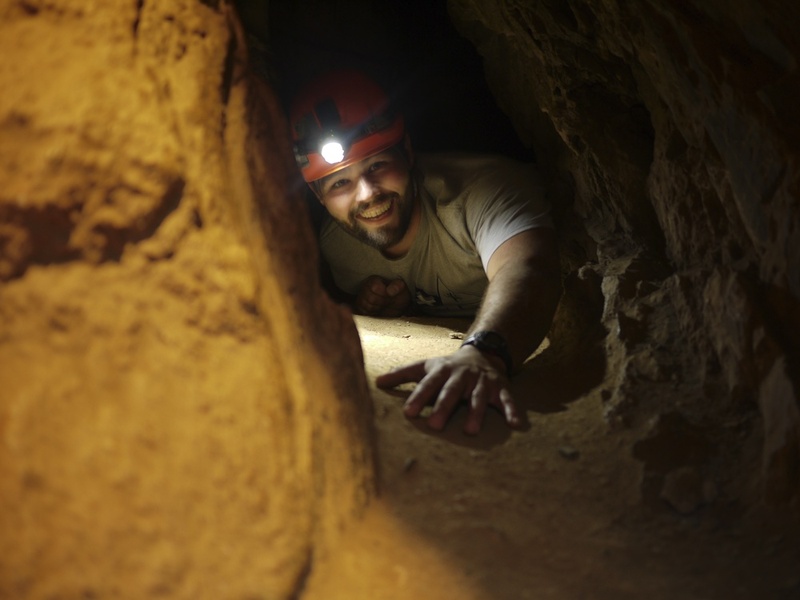 Alex Boye performs in the first-ever cave concert adventure. Illuminate the Darkness with Balanced Edge!